"The Adventures of Philip Marlowe" was mostly sustained throughout its two-year run (except for a brief sponsorship by Ford Motors in 1950), and while it had difficulty landing an "angel" to pay its bills, it did have a devoted fan in CBS patriarch William Paley. (Paley pressed upon both Macdonnell and CBS' director of programming Harry Ackerman to create a "Philip Marlowe in the old west," a request that was nurtured for several years before finally giving birth to "Gunsmoke" in 1952.) 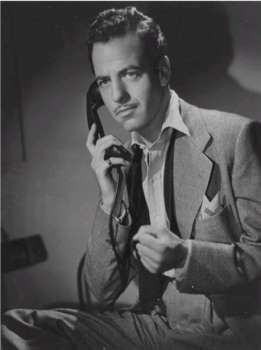 After returning to CBS for a brief summer run in 1951, Philip Marlowe folded up his radio tent - but fortunately for radio fans, many episodes of the series have survived today -- including the twenty shows in this collection, restored and remastered by Radio Archives for your listening pleasure.